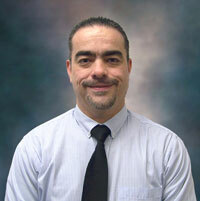 Antonio Garza has joined Strongwell as the Plant Manager for STRONGWELL S. de R.L. de C.V.
Antonio will report to Mike Jaszewski and will work closely with all support functions to oversee the construction, set-up and daily operation of the Mexico facility. A native of Ciudad Victoria Tamaulipas Mexico. Antonio received his Mechanical Administrative Engineer and Masters Degree in Administration from Nuevo Leon State University. He was previously employed as the R&D Operations Manager at Villacero Steel in Apodaca, N.L. for the last 14 years. Antonio resides in Apodaca with his wife Karla and two children, daughter Camila and son Roman.